to live a long and healthy life sharing their love with you"
These days our beloved dogs are as much a member of the family as the humans. They live inside, share our couch (and sometimes our bed), we exercise together and enjoy spending much of our spare time side by side. As our best friends age, the whole dynamics can change. We can't always do what we used to do together and life can slow down for our pets. This can often be hard for us to watch as owners. But it doesn’t have to necessarily be this way. 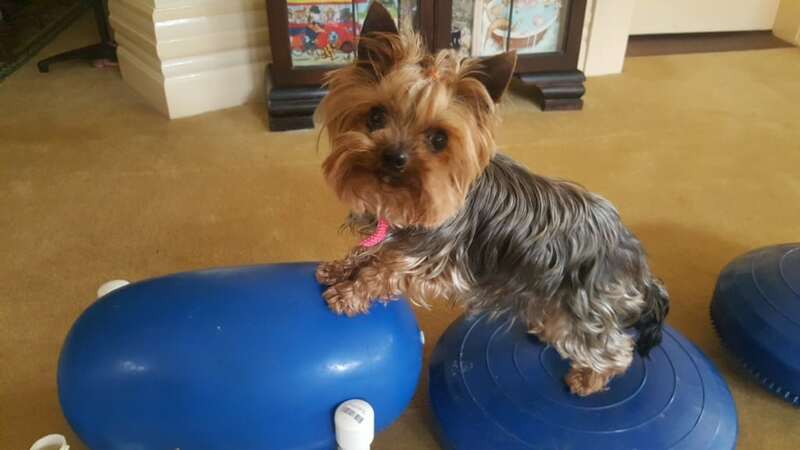 There are loads that you can do, to help your VIP pooch age with ease and still live a happy, comfortable and active life. In my animal physiotherapy practice, over 12 years I have seen thousands of aging pets. 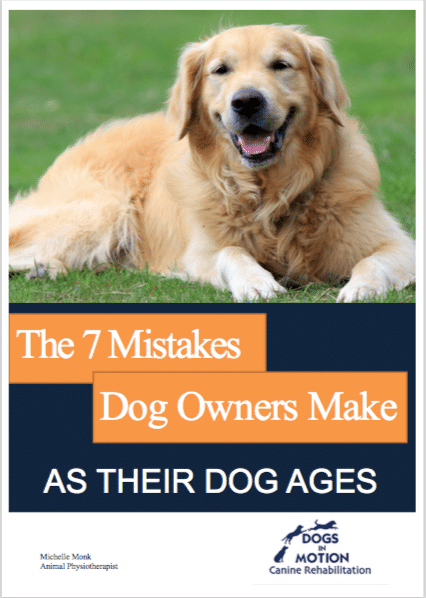 Unfortunately, there are common mistakes being made by owners, without their knowledge, that are actually speeding up the aging process and contributing to a less enjoyable life. Read these 7 key mistakes dog loving owners make, to ensure you avoid doing these with your pet and if you would like to know more, please do get in touch. I’m super passionate about supporting every dog I can to live a long and healthy life sharing their unconditional love with their owners. 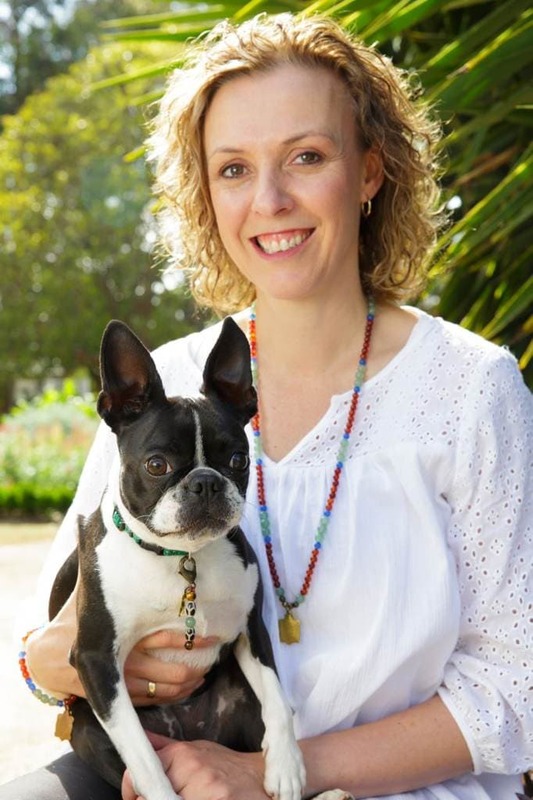 "Dear Michelle, I wanted to let know how grateful I am for your rehabilitation of Chloe after her ACL operation. It is now 12 weeks since her operation and her leg is well on the way to recovery with the muscle almost back to normal size. It is so good to see her pain free and regaining her confidence. She is loving being able to do a bit of running and playing again. Your programme of hydrotherapy, controlled exercises and reviews with you have worked miracles. I've attached a few photos of her and Freddie using the pods. Freddie's right leg is also a great tribute to your rehabilitation programme (fully recovered and back competing in Agility).